Companies increasingly open up their innovation process and involve customers for inspiration to develop innovative products and services that better align with their expectations. For this purpose, living labs offer a platform for companies to engage in open innovation activities with customers. In order to collect vital ideas, useful feedback, valuable user experiences, and new information, living labs serve as a facilitator of the innovation process between companies and customers. Living labs offer an environment that closely resembles the context of the product or service in real-life by providing an authentic use situation (Bergvall-Kåreborn, Holst, & Ståhlbröst, 2009; Leminen, Westerlund, & Nyström, 2012). However, integrating a diverse set of stakeholders in living labs, coordinating co-creation, in such an environment, is complex because it requires the inclusion of more activities and actors than those of traditional innovation models (van de Vrande, de Jong, Vanhaverbeke, & de Rochemont, 2009). Not just physical facilities but also careful management of key relationships and networks is required. To address these challenges, a holistic framework, explaining how co-creation can be facilitated in living labs, is developed. To study co-creation in living labs, JOSEPHS® – a physical living laboratory – is explored. Located in the city centre of Nuremberg in Germany, JOSEPHS® is open to the public and empowers the active involvement of users in the development, introduction and commercialisation of new services and products. JOSEPHS® invites visitors to experience ongoing innovation journeys of established brands as well as start-ups. Companies present ideas, early prototypes, or even products and services at an advanced development stage, in order to receive authentic feedback from users. 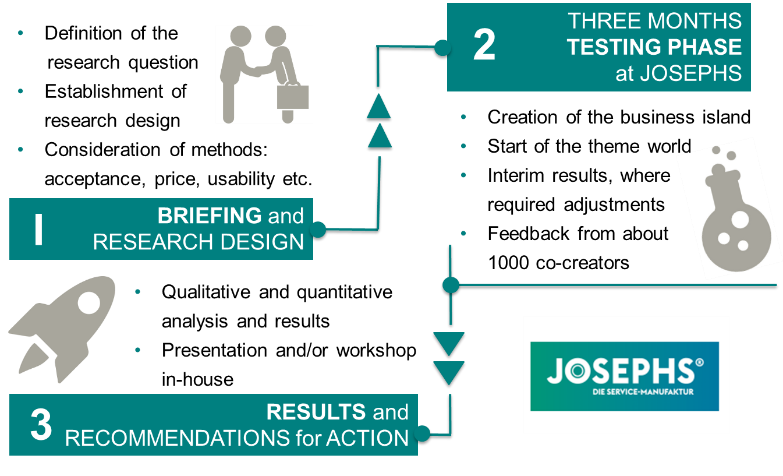 JOSEPHS®’ co-creation process can be described by reference to three key phases. First, a new theme for the next three months is decided on. Once the company acquisition is completed, a briefing takes place. The primary function of this briefing is to clarify JOSEPHS®’ concept and set realistic expectations for the collaboration with JOSEPHS®, but also for the users that provide feedback. One of the key objectives in this first phase, is to establish a research question that the company would like to find answers to during their three months at JOSEPHS®. 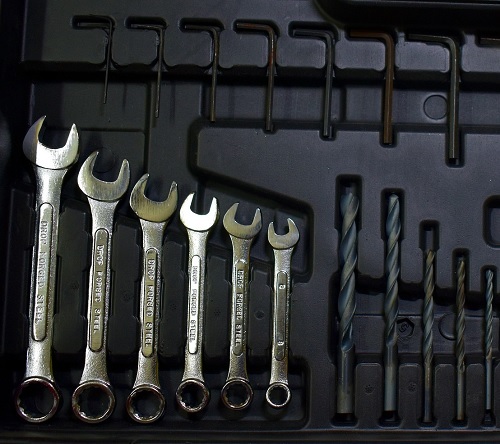 Various data collection tools are presented for the company to choose from. The data collection tools range from simple surveys to very interactive and technology supported tools. Phase two is the start of the three months theme world. Supporting the co-creation process, JOSEPHS®’ staff welcomes and guides visitors through the living lab. 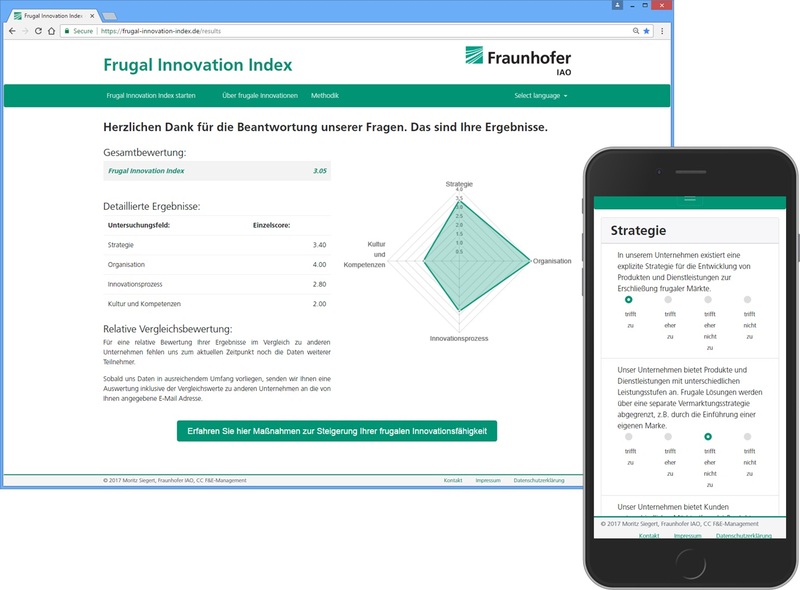 The guides provide background information about the company, inform the visitor about the prototype that is presented, and encourage them to test it and finally leave feedback. Throughout this entire process, no company representative is usually on site to ensure co-creators can experience the theme world without any pressure from the company. The feedback collected from co-creators is then presented back to the companies in order for them to review their prototypes and make possible adjustments to the design of their co-creation space or the focus of their project. Upon completion of the theme world, the third phase begins. Qualitative and quantitative analysis are performed on the feedback collected throughout the three months. In accordance with the individual agreement with the company, a report, a presentation or both is presented back to the company. 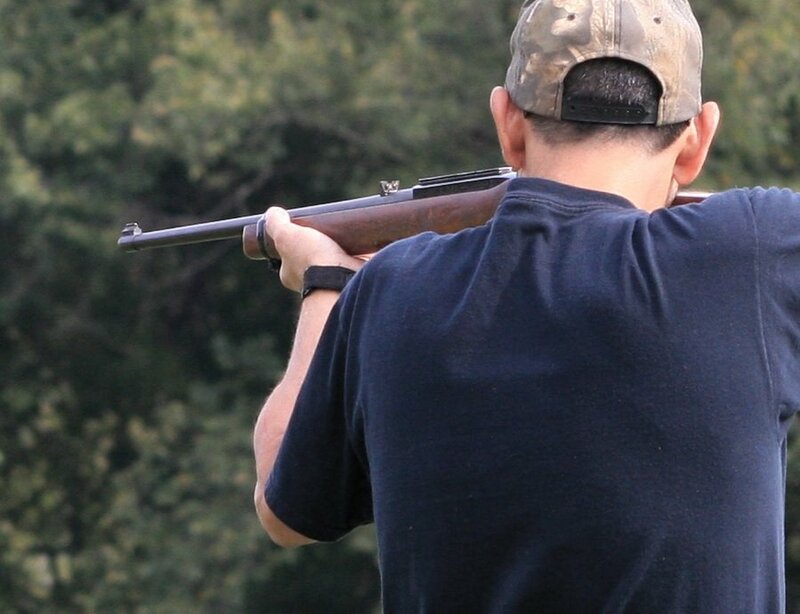 Feedback to companies comprises results as well as recommendation for action. Finally, JOSEPHS® conducts a follow-up interview to determine if and how feedback from co-creators has been implemented and to assess the overall long-term outcomes of the co-creation project. Based on the insights derived through the case of JOSEPHS®, a framework has been developed to support the facilitation process in living labs. To understand how co-creation can be facilitated in living labs it is important to examine the Purpose, Principles, People, Place, and Prize associated with the process. In order to guide firms and living lab facilitators on how to utilise living labs, it is crucial to first understand companies’ motivational drivers for participating in a co-creation process. This is critical for the living lab facilitator in order to be able to tailor the facilitation service to the needs of the company. 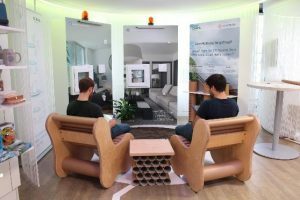 Awareness of the motivations that stimulate companies to engage in co-creation can help living labs to systematically facilitate the identification of areas for companies to address during their living lab test phase. In the case of JOSEPHS®, companies engage in co-creation for different reasons, which mainly belong to two broad categories. On the one hand, companies wish to gain access to JOSEPHS®’ co-creators, and on the other hand, they would like to gain access to JOSEPHS®. Within these two areas, companies reveal seven different motivations why they engage in co-creation. Through their co-creation project, companies aim to study market acceptance, price acceptability, receive exposure, conduct product testing, gather market intelligence, or carry out method testing and utilise networking opportunities. Principles guide the operations of the living lab and provide the foundation that defines the place and guides the behaviour of people that interact in a living lab. Seven principles offer the foundation for the design of the place and behaviour of the people in the living labs. These include explicitness, adaptiveness, interactiveness, iterativeness, realism, openness, and connectedness. 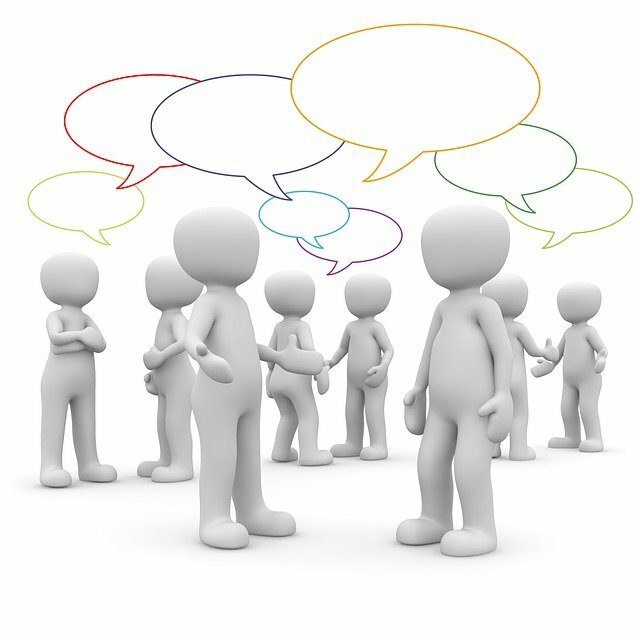 People integrate the co-creation principles that are associated with the activities and behaviour of stakeholders that are involved in the co-creation process. Thereby, the focus lies on the interaction of JOSEPHS®’ staff with companies on the one hand, and, on the other hand, on the interaction of JOSEPHS®’ staff with co-creators. People play a key role in the co-creation process and particular attention has to be paid to the characteristics, skills, and attitudes of the living lab staff to ensure they perform the facilitation service to their best ability. Place describes the location of the living lab, its physical layout, the complementary facilities and the methods and data collection tools that are employed. The three factors are strongly interrelated: ‘People’ create and interact with the ‘Place’ and introduce, as well as execute, ‘Principles’ that define JOSEPHS®’ concept. Understanding the outcomes of co-creation projects allows to evaluate their impact and determine which approaches worked best. As companies often struggle to quantify their co-creation outcomes, it is suitable to take a goal-based approach. In this approach, objectives are used as the criteria by which the project is assessed (Isaac & Michael, 1981). 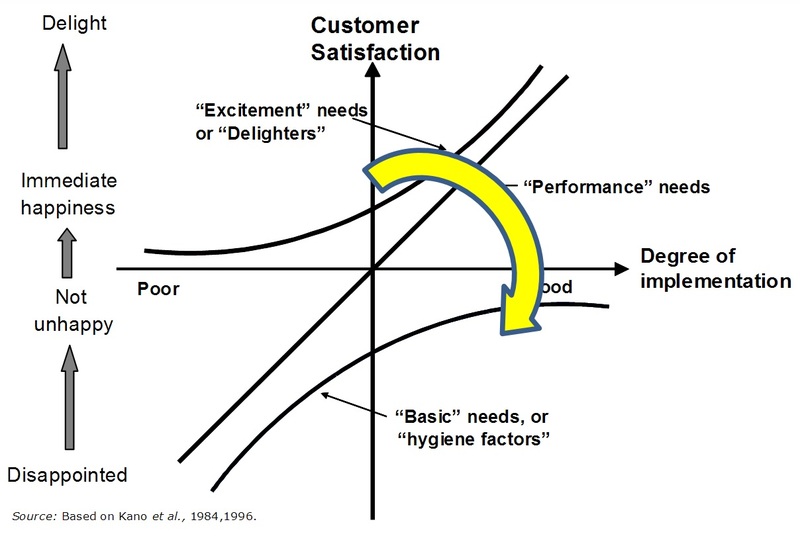 Thus, in order to understand how far the co-creation project has achieved its purpose, it is important to compare motivations against the results to determine the extent to which performance is congruent with expectations. Further, presenting planned and unplanned project outcomes separately helps to identify what outcomes companies expected to accomplish and what was unexpectedly achieved. Evaluating the project outcomes helps the company to reflect on what has been achieved and allows living lab facilitators to assess the success of their services, and ultimately, improve their operations on a continuous basis. Simultaneously, companies learn from their experience and can adjust their actions and expectations in any future co-creation projects. Capturing co-creation outcomes also allows living lab facilitators to reflect on the effectiveness of the tools that have been used to collect user data. All of which can contribute to the continuous learning of the living lab, and serve as a feedback process for their own operation as a service provider of co-creation facilitation. 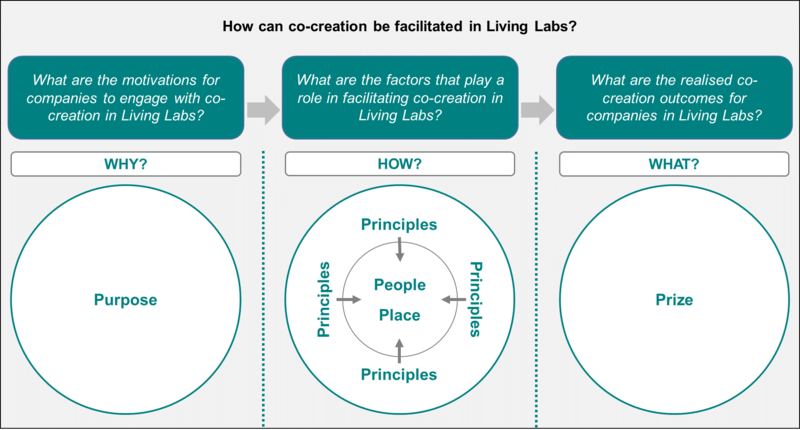 This framework provides guidelines for practitioners that would like to engage in co-creation in living labs. For example, managers may be likely to lose out on the rewards associated with this approach if they do not understand how value is co-created in living labs. There is a growing recognition that collaborative relationships between businesses and customers can offer opportunities to create competitive advantages. Co-creation offers companies and their network of stakeholders important opportunities for innovation, as each stakeholder provides access to new resources. The interaction process between stakeholders, therefore, can provide them with opportunities to facilitate value creation for and with each other. It is critical that managers are able to understand the concept and the activities that are carried out internally, or developed in conjunction with other stakeholders, in order to execute co-creation well. Furthermore, the results from this research are also relevant to those companies interested in building their own living lab. The findings of this study identify important principles that should be considered in the design of such an environment, and in the interaction with stakeholders. This study is also of importance to living lab facilitators. For example, it is important for the living lab staff to understand the motivation of different stakeholders involved in the process. In order to encourage people to engage in the co-creation process, it is important to understand what they expect from co-creation. Moreover, the findings of this study can serve as a practical guide for designing the organisation of a living lab, and the implementation of its capabilities. These insights can help in the designing of the physical space for a new living lab, establish the relevant infrastructure, and guide the interaction of facilitators to foster co-creative behaviour among companies and co-creators. However, this study also serves established living labs and managers, by providing a practical framework for continuous improvement of their own living lab by opening the “black box” of a living lab. Finally, this study is highly relevant for public body stakeholders. As policy makers and local governments support living lab activities by providing financial, and legislative resources, as well as geographical space, the findings of this study can deliver important insights by explaining how innovation performance can be nurtured in living labs. This study can help policy makers to understand what works in practice, and what kind of policy environment is needed, in order to support regional and national innovation efforts more effectively. The findings of this study can be deployed to harmonise national and regional innovation initiatives with the aim of optimising public and private investments in the targeted market. The framework of this study allows public authorities to support co-creation activities in living labs more systematically and enables them to formulate public policies around them. Bergvall-Kåreborn, B., Holst, M., & Ståhlbröst, A. (2009). Concept design with a living lab approach. In Proceedings of the 42nd Annual Hawaii International Conference on System Sciences, HICSS (pp. 1–10). Isaac, S., & Michael, W. B. (1981). Handbook in research and evaluation. San Diego, CA: EdITS Publishers. Leminen, S., Westerlund, M., & Nyström, A. G. (2012). Living labs as open-innovation networks. Technology Innovation Management Review, 2(September), 6–11. van de Vrande, V., de Jong, J. P. J., Vanhaverbeke, W., & de Rochemont, M. (2009). Open innovation in SMEs: Trends, motives and management challenges. Technovation, 29(6–7), 423–437.